Prosthodontics literally means ‘replacing teeth’ and involves, as you would expect, finding the right solution for replacing any teeth you may have lost due to decay, extraction or accident. 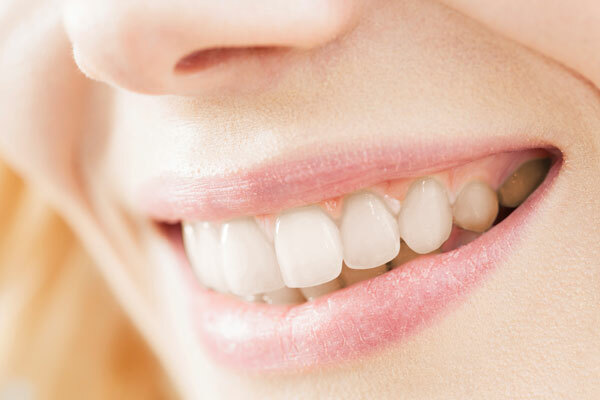 This can include one or more of other branches of dentistry such as dental implants and restorative dentistry. The most common dental prosthetics are dentures, which have evolved a great deal since your grandparents’ day. Dentures in one form or another have been around for many years. The earliest recorded use of dentures was more than 2000 years ago. Today, dentures are better quality and more comfortable than ever before and can be made to match not only the colour of your natural teeth and gums, but the size and shape of your face, so they look completely natural. Pronouncing certain words may require practice. Reading out loud and repeating difficult words will help. Over time you will adjust and get used to it, so don't worry! If you find that your dentures occasionally slip when you laugh, cough or smile, reposition the denture by gently biting down and swallowing. If this continues consult your dentist. Immediate dentures are inserted immediately after teeth have been removed. To do this, the dentist takes measurements and impressions of your mouth during a preliminary visit. It is not unusual to experience minor irritation or soreness during this period. You may also find that saliva flow temporarily increases. As your mouth becomes accustomed to the dentures, these problems should diminish. If any problems persist, particularly irritation or soreness, be sure to consult your dentist as soon as possible and not wait for your regular check-up. Do not take your dentures out though, leave them in, that way the dentist will be able to see where it is sore and sort the problem out quicker. Like natural teeth, dentures must be brushed daily to remove food debris and plaque. Brushing helps prevent dentures becoming stained and helps your mouth stay healthy. There are special denture cleaning brushes available but a soft bristled toothbrush can also be used. Avoid using hard-bristled brushes, which can cause damage. Regular dental check-ups and having your teeth professionally cleaned are vital for maintaining healthy teeth and gums, most dentists recommend that under normal circumstances this should be done every 6 months. Full denture wearers should consult their dentist as to frequency of visits.